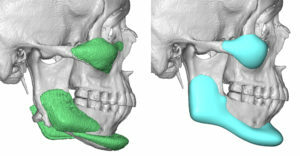 Background: Cheek and jaw implants are the most common facial implants used. When put together as a five implant facial augmentation strategy significant facial reshaping can be achieved. Whether it be male or female, enhancing the five prominences of the face (two cheeks, two jaw angles and one chin) serves as the keystones to major facial structural reshaping. The use of standard cheek and chin/jaw angle implant styles and sizes can be an effective facial reshaping strategy for most patients. But it does not work for everyone for a variety of reasons. The most common reason is that standard implants can’t achieve the desired aesthetic effects. It is important to recognize that standard implants are made for ‘standard’ aesthetic concerns (an admitted elusive concept) which often do not become realized until they have been implanted. 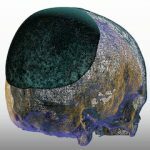 The second reason is facial asymmetry caused by either implant malpositioning, native facial bone asymmetry and/or a combination of both. When facial implants fail to achieve the desired aesthetic effects, a different treatment approach is often needed. Changing implant styles/sizes or repositoning them is one option and a small concern may suffice. 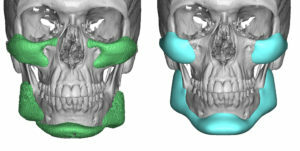 But to make a more significant improvement the concept of custom facial implants should be considered. Case Study: This young male child had a history of multiple facial implants in trying to achieve a very specific facial augmentation effect. 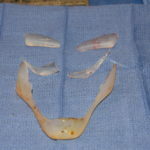 He currently had standard chin and jaw angle implants as well as custom cheek implants. For his final attempt at optimal facial enhancements, a one piece custom jawline implant and new custom cheek implants were designed. 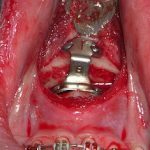 Under general anesthesia and through intraoral incisions (one submental incision), all existing implants were removed and replaced. 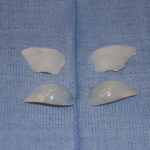 The role of custom implants is often used when existing facial implants haven’t worked as desired. 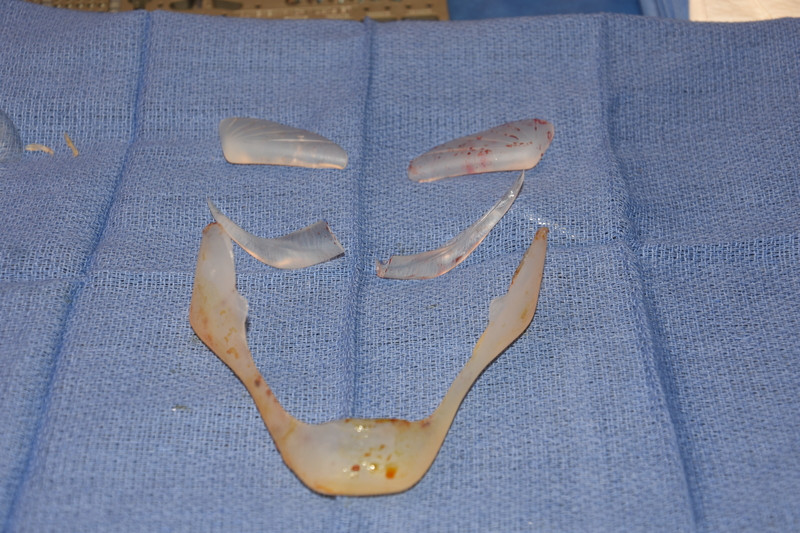 In my extensive custom facial implants experience, this is evident in about one-third of the custom implant cases. 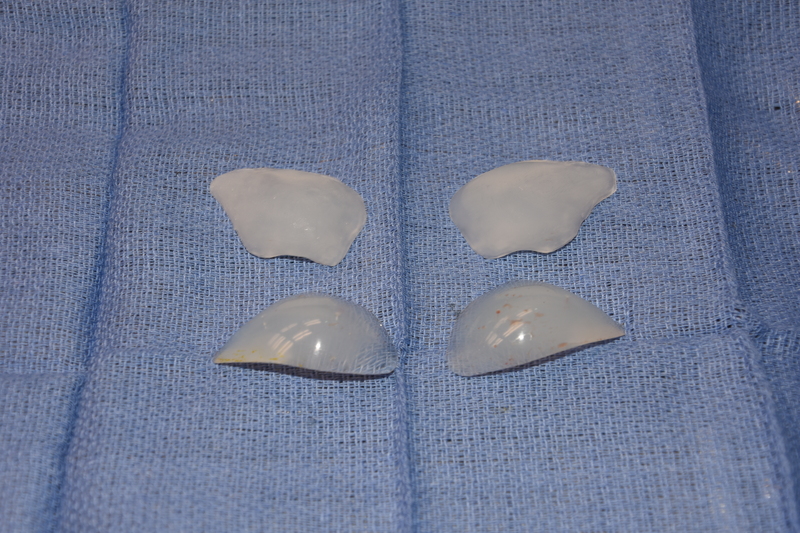 1) Standard facial implants do not always create the facial effects that a patient may desire. 2) Indwelling facial implants can serve as a guide to make new facial implants that will have more of the desired effects. 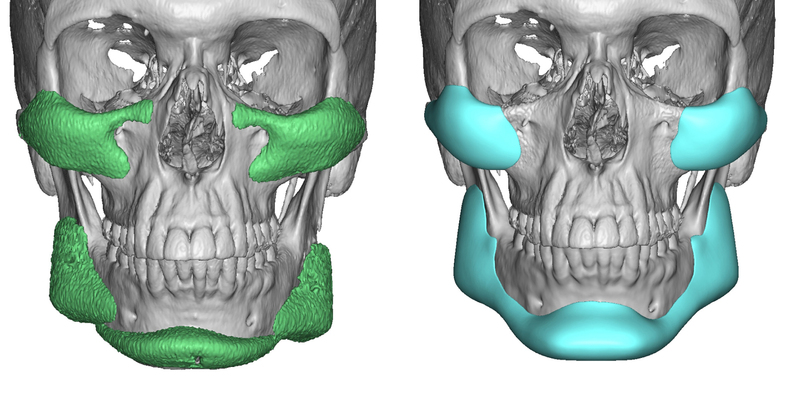 3) 3D CT scanning allows existing implants to be seen, measures and designed around for new custom facial implants.